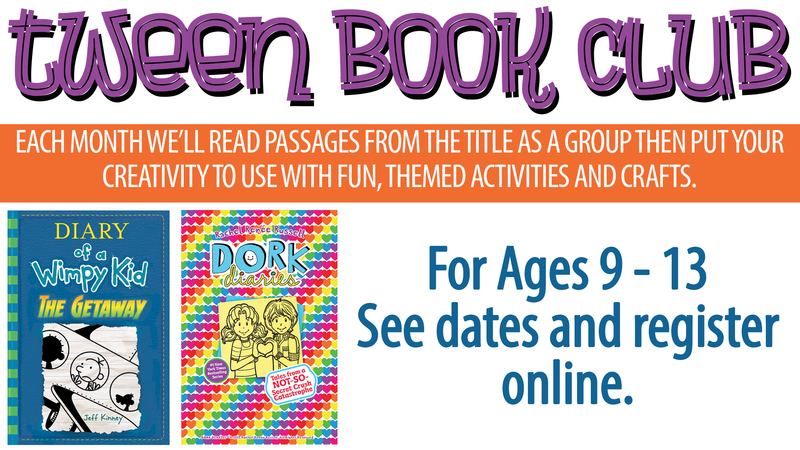 Tween Book Club: Dork Diaries of a Wimpy Kid Party! Join us for a tween party celebrating Dork Diaries and Diary of a Wimpy Kid. We will have snacks, music, games, and crafts! All you have to bring is your creativity and energy!